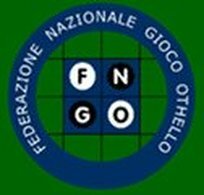 The 1st Worldwide Othello News report directly from Japan by Masato Koide (Japan Othello Association). The 32nd Meijin-Sen was held in Tokyo on May 29. The Meijin-Sen is one of the Japanese 3 big tournament. A lot of top players of Japan come to Tokyo aiming at victory of the Meijin-Sen.
154 players participated in the 32nd Meijin-Sen from all over Japan. Champions of each class are as follows. Jan Zemelka and Daniel Ljungqvist only played on day 1 (7 rounds). Eddie once again dominated this tournament, winning every game for the second year in a row. Jeffrey Seldarik needed to leave after the 1st round robin, and David Rockwell needed to leave after the 3rd round robin. Obviously, the final results may have been different had they stayed. Roy Arnold did not have it all his own way as Marie Lightman held him to a draw in the fifth round. Four players turned up (David Beck, Iain Barrass, Ben Pridmore, and Roy Arnold), so they played a double round robin for 6 rounds. Final results: Ben 5/6, David 4, Iain and Roy 1.5.